MC MF raps that you got Five Mo Dayz to donate to the fundraiser to get your name on the announcement letter. It was announced yesterday that Twelve Years a Slave will be in theaters on the Oscar bait date of December 27th. That's the good news. The bad news is that Fox Searchlight is the studio releasing it. Remember them? They "managed" the "marketing" of Shame. Uh huh. Yeah, THEM. They even admitted they fucked up the Oscar campaign and promotion for that film. Well, maybe things will be easier for them to manage. TYAS will definitely get an R rating, and since they have the experience with marketing an R film instead of an NC17 film, maybe these mofos will have better luck this time. Then again... does George Clooney have an Oscar baity film coming out at the same time with Fox Searchlight? We don't want Fox being confused with which film to promote heavily now do we? Expect TYAS to be a major player at Cannes, Venice, and my beloved Toronto! The Counselor will be released November 15th, and I speculate that Frank will come out in September or October, so the Fall is going to be Fassy Season! When I saw that Fox Searchlight would be releasing '12 Years' I cringed a little. We can only hope that they will do right by McQueen this year around. 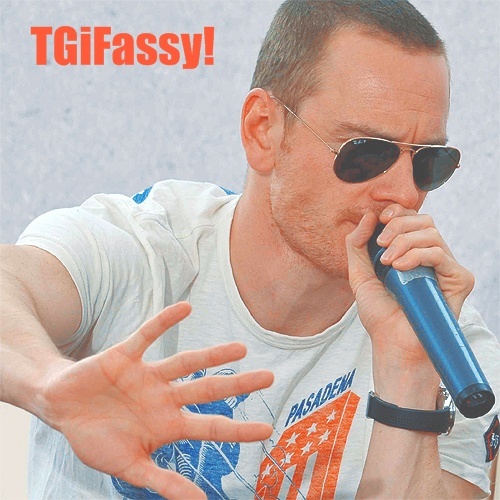 A Fassy filled year...yay!!! I think I'm going lose my mind waiting for these movies. I agree with Hupsakeek. I won't hold my breath for the Oscars. Idk wants going on with the academy anymore. His awards are his accomplishments. Fall/winter is going to be Fassy overload. I'm afraid I will spontaniously combust...and I will love every minute of it. I will use my upcoming trip to Egypt to distract me from waiting.